You know that kid in elementary school who was always getting in trouble? If this kid had a journalistic doppelgänger, it would be the Daily Mail. Every class has one: the delinquent student who just couldn’t resist snapping the bra straps of the girls in class and couldn't go three days without setting something on fire. Before you know it, they're being coerced into giving a perfunctory apology, fingers crossed behind their back. 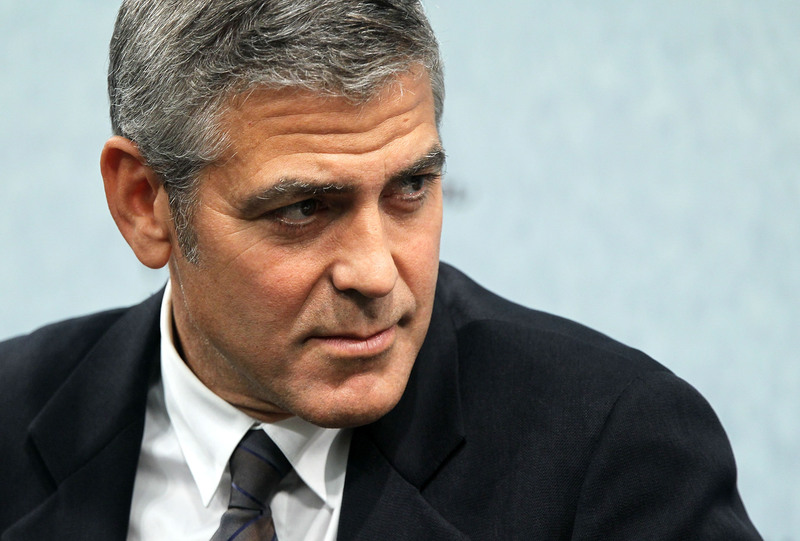 On Wednesday, the Daily Mail issued an apology to George Clooney for an article they published about him and his fiancé, Amal Alamuddin. They released a statement, apologizing for "any distress that was caused" but asserting that their story was "not a fabrication." Translation: We're so sorry the story is wrong and that you feel bad, but we weren't wrong in printing it. This is classic Daily Mail. They make the same PR mistakes repeatedly that unfailingly anger celebrities and public figures. Next, they write up perfunctory “I’m sorry” letters. Before you know it, they’re right back where they started, never learning from their actions and ending up back in the principal’s office. Any attempt at penance is obligatory, questionably sincere, and, had the recourse been given in person, there would definitely be no eye contact. Let’s take a look at the many watered-down apologies the Mail has given over their many years in tabloid news, because the one they've given to Clooney is not their first. A spokesman for Prince Harry has asked to point out that the Prince was not drunk at the street party in Belize pictured last weekend, as may have been suggested by our headline. The Prince sampled local rum, a cocktail and fruit wine but did not drink five beers as suggested. Hey, if you can’t fight City Hall, how do you expect to fight freakin’ Buckingham Palace. We accept that these allegations are untrue and apologise to Mr. Schon, Ms. Salahi and the family for any distress caused... We have agreed to pay Mr. Schon and Michaele damages and legal costs. Decoded: We know we messed up, guys. We’re getting our act together. This is totally the last time anything like this will ever happen. The only way MailOnline was able to establish the REAL time the tweets were sent was by viewing the twitter web page source code, something almost no normal member of the public would ever do. Well, guys, hate to break it to you. The Daily Mail isn't normal members of the public. They’re a news website from which normal members of the public get their information from. Our September 28, 2013 article 'How JK's sob story about her single mother past surprised and confused the church members who cared for her' suggested that JK Rowling made a knowingly false and inexcusable claim in an article for the Gingerbread charity that people at her church had stigmatised her and cruelly taunted her for being a single mother. Later on in the apology, they state that it wasn’t multiple people that ostracized Rowling, but only one person. They make the distinction that Rowling “recounted only one incident where a visitor to the church stigmatised and taunted her.” Okay, so they were only a few people off, right? Ultimately though, they cowed. No one messes with J.K.
For now, the Daily Mail would be wise to learn something for their own good, and the good of the world: Check your sources so you don't end up apologizing at all.